Who doesn't love hedgehogs? 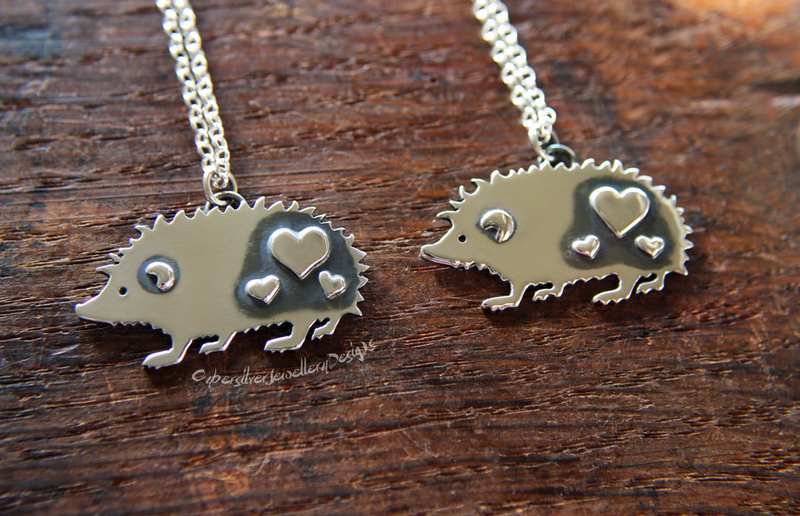 These cute hedgehog pendants show just how much with their collection of little love hearts. 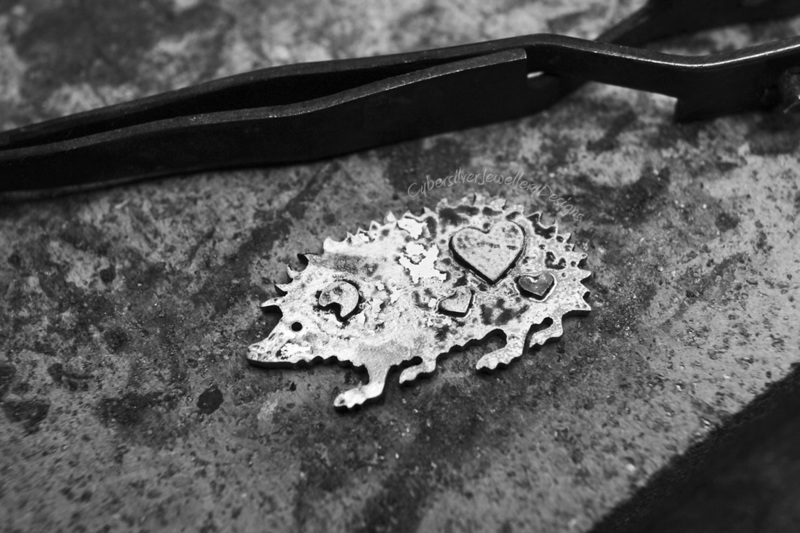 Each hedgehog pendant is entirely handmade by me to my original design. They are hand pierced from thick sterling silver and because they are handmade, they are all slightly different and unique. Each one is decorated with hand cut hearts and a cute little ear. They have been oxidised and then polished so that the details are highlighted. Oxidisation is a surface treatment that can continue to lighten with wear. They hang from 18" sterling silver chains and each pendant comes gift boxed.